5G stakeholders – which include silicon giants such as Qualcomm and Intel, infrastructure players like Ericsson and Nokia, and, of course the major wireless carriers – have been unsurprisingly bullish on the technology’s rapid advance, announcing numerous breakthroughs and field trials over the past several months. We’ve constructed a timeline of these 5G trials, embedded below, to give you a visual sense of how much action has been taking place. Two of the earliest publicized trials of 5G technology began in 2014 – one was Japan’s NTT DoCoMo, in Yokosuka, and the other was AT&T’s site in Middletown, N.J., but large-scale testing hasn’t taken off until relatively recently. The new rash of 5G announcements really kicked off at this year’s Mobile World Congress, though, where a host of carriers, smartphone vendors and other stakeholders announced plans for 5G tests in February. Adding impetus was the FCC’s move this summer to open up frequency bands that 5G technology will need to use. It’s been the carrier equipment vendors that have been talking loudest about their plans, as Ericsson and Nokia, in particular, have been public about their involvement in multiple trials with multiple partners. That makes sense, given that 5G technology could be a particularly profitable upgrade cycle – large numbers of smaller base stations, deployed to cover areas of dense demand, are going to be a big part of 5G. Qualcomm, as well, hasn’t been shy about talking up its leadership in 5G technology – a large proportion of 5G data, particularly in the U.S., will travel to endpoints using its silicon, and the company has been publicly involved with trials and technology research with both carriers and hardware manufacturers as its partners. We’ve been talking about 5G, at least in concept, for at least 10 years. The quickening pace of research and development means that we’re closer than ever to functional standards and reference designs for 5G tech, which is the main prerequisite for mass deployment. However, according to wireless analyst and Network World contributor Craig Mathias, elements of 5G tech actually predate 4G hitting the marketplace. “We’ve been talking about 5G, at least in concept, for at least 10 years,” Mathias said. A caveat here about our timeline – carriers, equipment manufacturers and other stakeholders have been eager to trumpet the fact that they’re working on 5G technology, but occasionally less forthcoming about precise dates, times and the specific nature of their tests. This suggests that these companies think there’s still some competitive differentiation to be had. Major U.S. carriers, in particular, have been relatively tight-lipped. But that’s not to say they haven’t provided some glimpses into a 5G future. Sprint demonstrated centimeter-wave (15GHz) technology at a Copa America soccer match this summer in Philadelphia, providing 4Gbps download speeds to attendees and showcasing live 4K video feeds. And other carriers, albeit in somewhat different deployments, are reporting much higher speeds – NTT DoCoMo’s recent testing of millimeter-wave (70GHz) tech provided 48Gbps in throughput, and T-Mobile says it’s reached 12Gbps with less than 2ms of latency. 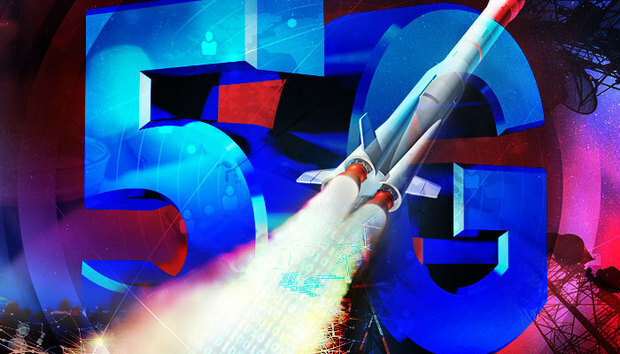 These are eye-catching numbers, without a doubt, but need to be taken with a grain of salt – the real target speed for 5G connectivity is anywhere from 100Mbps to 1Gbps, depending on context and who you’re asking, which reflects the much higher load demands of a real-world environment. But even at the lower bound, it’s worth noting that that’s roughly 10 times faster than the U.S. average 4G connection, according to a February report from OpenSignal. The accepted timeline for 5G’s general availability sees the standards work completed by 2018 or 2019, and customer deployment by 2020, yet estimates differ. Ericsson, a key player in the development of 5G, recently predicted that about a quarter of mobile subscriptions would use 5G tech by 2022, which dovetails roughly with analysts like Mathias who see 2023 as the approximate splashdown date for 5G. But it seems clear that 5G is under more intense development than ever before – while there’s a long way to go before it hits the consumer market, the major stakeholders have the technology uppermost in their minds, and large-scale testing is well and truly under way.